The district attorney's office today announced it was dismissing charges against teenager Pedro Hernandez. Sarah Wallace reports. 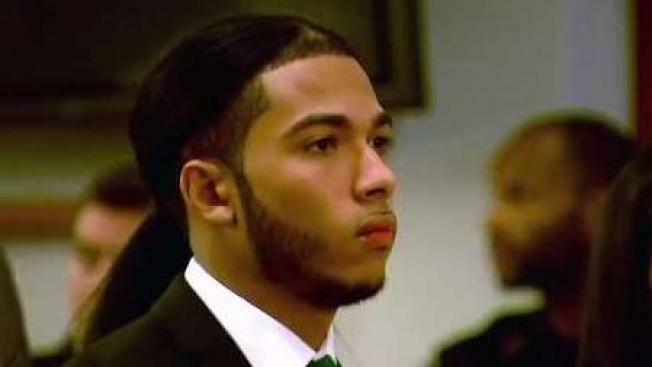 The Bronx district attorney's office will move to dismiss a July 2016 indictment against a 17-year-old boy who stayed behind bars at Rikers for about a year rather than plead guilty to a shooting he has said he did not commit. Darcel Clark issued a statement Wednesday saying she had conducted a detailed review of the case against Pedro Hernandez, who was charged with criminal possession of a weapon and other crimes in a Sept. 1, 2015 shooting on East 169th Street. "We discovered unanticipated witness and evidentiary issues, including that one of the original witnesses is no longer cooperative," Clark said. "The investigation also revealed that information originally provided to my Office during the initial investigation of this case has now proven to be inconsistent and contradictory. Further, the victim of the shooting is unable to identify who shot him." Hernandez was released on bail late last month after the Robert F. Kennedy Human Rights organization posted the entirety of a $100,000 bail. The teenager had been imprisoned at Rikers since his July 2016 arrest that injured another teen in the Bronx. His family hadn't been able to post a $250,000 bond that required a financial guarantee. While at Rikers, Hernandez became an academic standout, getting his high school equivalency diploma, winning leadership awards and being nominated for a college scholarship. Hernandez's release marked a dramatic turnaround in a case that has generated national attention over the issue of high bail and families who can't pay it. The dilemma: he had to be out by September to get the scholarship, but he had refused to plead guilty to the shooting and accept probation with no prison time. He has no criminal history and staunchly maintained his innocence. Hernandez's trial on the weapons charges had been slated to begin this month. Clark says the investigation into the shooting is ongoing. “Public safety is paramount and we must do everything we can to stop gun violence in our neighborhoods. There have been 20 shootings involving 26 victims so far this year in the 42nd Precinct, a marked increase from 2016," her statement said. "Prosecution of violent crime is challenging especially when victims and witnesses decline to cooperate, but this is the reality we face in the Bronx every day as we continue to build trust with the community."